It has been a very busy week for the Duchess of Cambridge, once known as Kate Middleton, who has been playing a number of supporting roles for senior royals out and about across Great Britain this week. With each visit she projects a likeable and natural charm, and she’s clearly enjoying becoming a fully-fledged member of the royal family while Prince William is away in the Falklands. 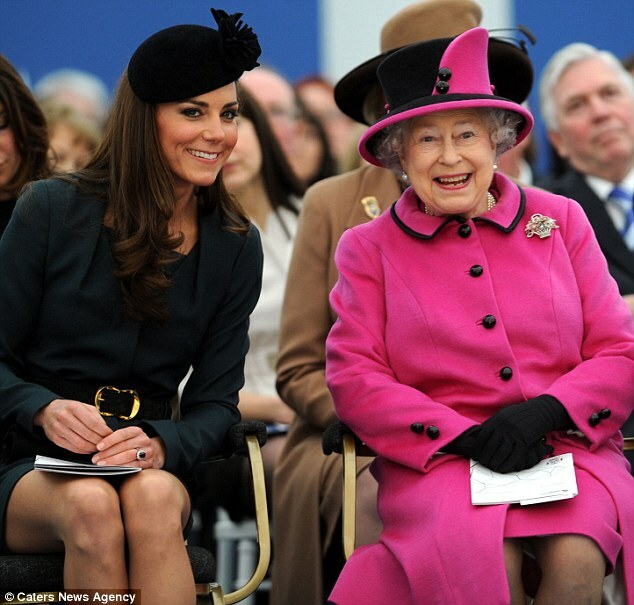 On Monday, Kate supported The Queen as she started her Diamond Jubilee tour of Great Britain with a visit to Leicester. On Thursday, Kate enjoyed a morale-boosting visit to the British olympic hockey team. 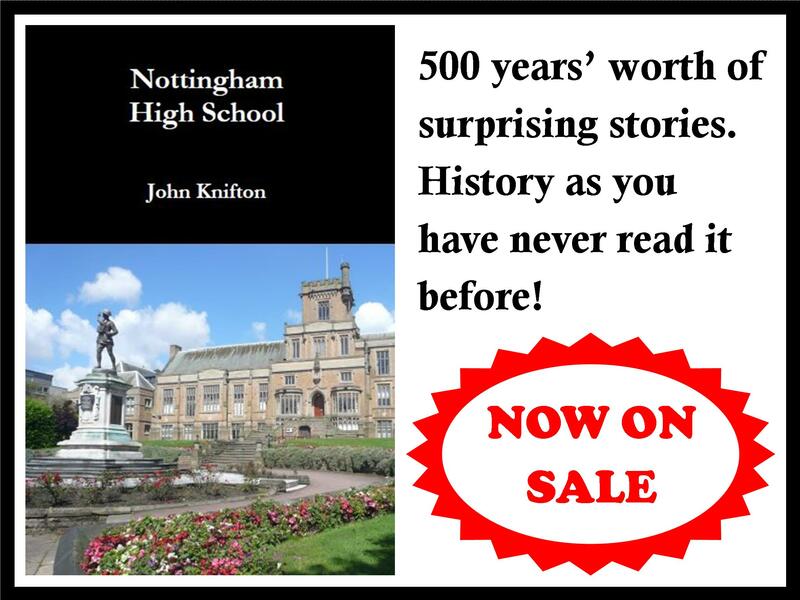 Kate was in the 1st 11 hockey team at her old school, Marlborough. On Friday, Kate supported the Prince of Wales and Duchess of Cornwall on a visit to the Dulwich Picture Gallery in London. 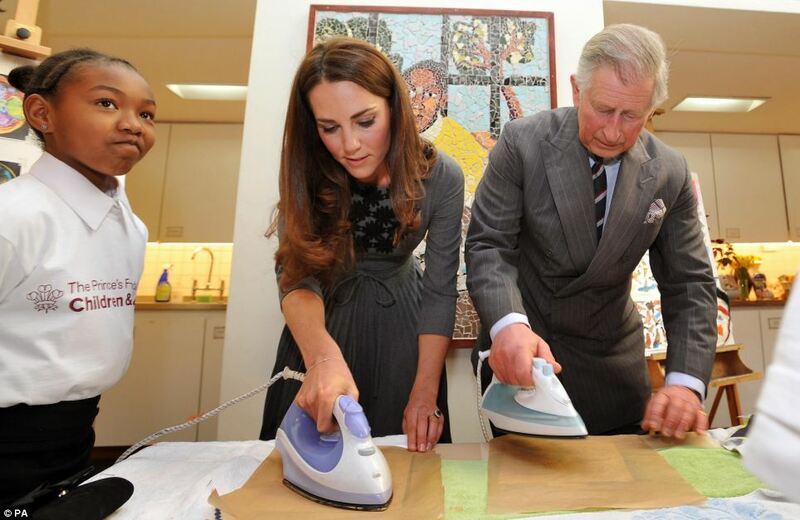 The undisputed star of the visit was Kate, who instructed Prince Charles on how to do the ironing. 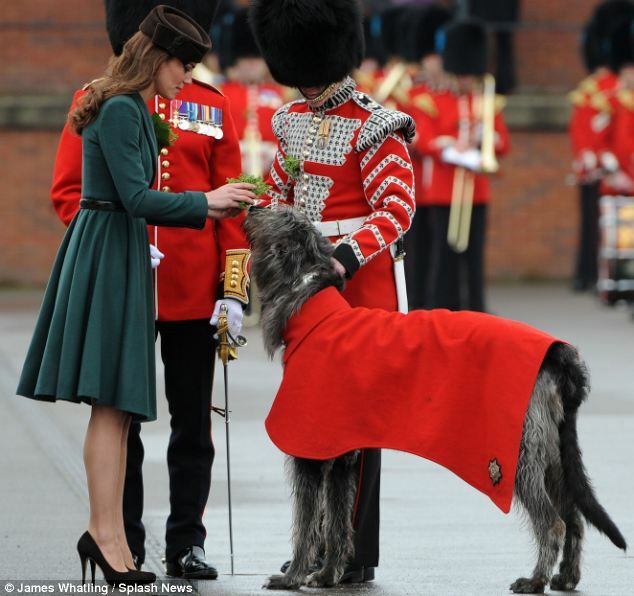 On Saturday, Kate presented shamrocks to the Irish Guards to celebrate St Patrick's Day. The regimental mascot, Conmeal the Irish Wolfhound, was very happy with his present.